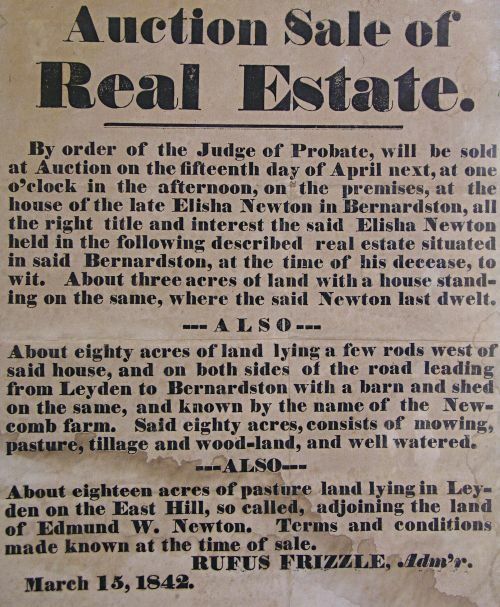 Early auction broadside Elisha Newton estate dated 1842 from Bernardston Massachusetts. Framed with some overall toning and minor water marks. 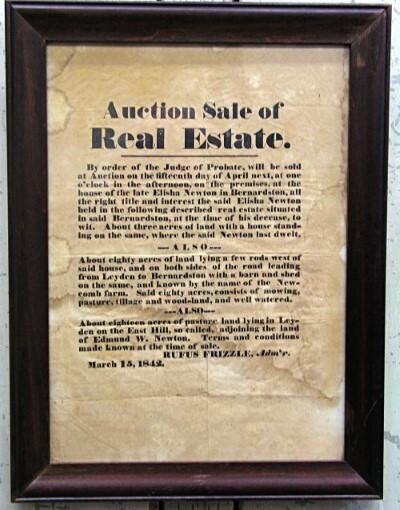 Dimensions: Measures overall 14 3/4" X 19 1/2"